The name Gal Gadot does ring a bell and will continue to even if not for her other roles, certainly for her supersonic roles as Gisele Yashar in The Fast and The Furious film series and most recently as the Wonder Woman from the DC Extended Universe movies. Gal Gadot has not just excelled as an actress but in other fields, she is a combination of beauty and brain. The multiple award-winning actress was the winner of the 2004 Miss Israel beauty pageant, a military personnel, and a model. Gal was born in the Isreali city of Petah Tikva on the last day (30) of April 1985 to Michael and Irit Gadot and was raised in Rosh HaAyin, another city close to her birthplace. Her father is an engineer and her mother a teacher. Her name Gal means “wave” and her surname means “riverbanks”. Gal has a younger sister named Dana. Gal Gadot has a very rich heritage – German-Jewish, Polish-Jewish, Czech-Jewish, and Austrian-Jewish. In high school, she majored in biology and made good use of her height playing the school’s basketball team. In 2004 she participated in the Miss Isreal Beauty Peagent and won. Gal also participated in the Miss Universe Beauty pageant in Ecuador that same year. After her reign as Miss Isreal, she studied law and international relations at the IDC Herzliya college and afterwards, served at the Israel Defense Forces (IDF) as a combat instructor and she did confess that it was the experience she gained while serving at the IDF that helped her get the role of Gisele in the fourth edition of the Fast & Furious Franchise. Her performance was good enough to earn the reprisal of her character in the following two sequels of the series which were released in 2011 and 2013 respectively. In 2016, Gal Gadot portrayed Wonder Woman in the DC Extended Universe superhero movie Batman vs Superman: Dawn of Justice. In 2017, she reprised the character in two other movies in the DC Extended Universe franchise – Wonder Woman and Justice League. For the role, she got training in Brazilian jiu-jitsu, swordsmanship, Kungfu kickboxing, and capoeira. Gal Gadot has also appeared in other blockbuster movies like Triple 9, Criminal and Keeping Up with the Joneses. The tough girl character is also a model who has been the face of well-known brands like Captain Morgan Rum, Gucci fragrances, Huawei, Sixty, Jaguar Cars and Vine Vera skincare ranges. In 2007, Gadot appeared on Maxim, as “Women of the IDF”, and then on the cover of New York Post. In 2012 Gadot was ranked #5 on Shalom Life’s list of “the 50 most talented, intelligent, funny, and gorgeous Jewish women in the world”, she came behind supermodels like Eva Green and Bar Refaeli. In 2014, she was listed on InStyle magazine as an upcoming Israeli leading ladies behind Odeya Rush. The following year, she was unveiled as the face of Gucci’s Bamboo perfume brand. Gadot has also appeared on covers of top magazines like Entertainment Weekly, Bride Magazine, Cosmopolitan, FHM, Glamour, Fashion, Cleo, Lucire, and UMM. She was the main model for Israeli clothing company Castro from 2008 to 2016. In 2018, she appeared on Time‘s annual list of the 100 most influential people in the world. How Much is Gal Gadot Worth? The Wonder Woman star was worth $2.4 million in 2013 which was a combination of her salary as an actress and a model but that is not the case now, according to celebrity net worth, her net worth is $8 million. 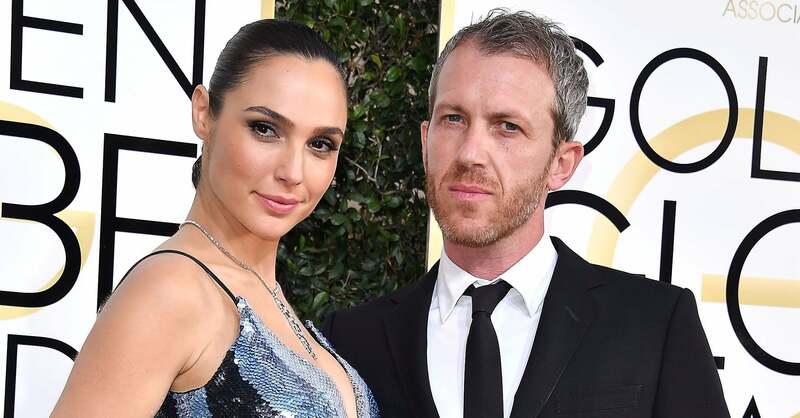 Gadot has been married to an Isreali real estate developer, Yaron Varsano since 2008. The couple met at a party in 2006. After the party, they agreed to a first date, which was followed by a second date. On their second date, Yaron reportedly told Gal out of the blues that he wants to marry her and that he wouldn’t wait for more than two years. Two years later, the couple tied the knots. Today, they are parents to two beautiful daughters, Alma Varsano who was born in 2011 and Maya Varsano who was born in March 2017. The couple are happy as a family and run a few business ventures together. They had a boutique hotel in Tel Aviv, which according to Gal she helped run. In 2015, they sold the hotel to one of Russia’s richest men Roman Abramovich for $26 million. The former beauty queen and mother of two stands at a height of 5 feet 8 inches which translates to 1.78 in meters. She weighs 59kg. Her other body measurements are 34- 23- 34. Her shoe size is 9 (US) or 39.5 (EU).